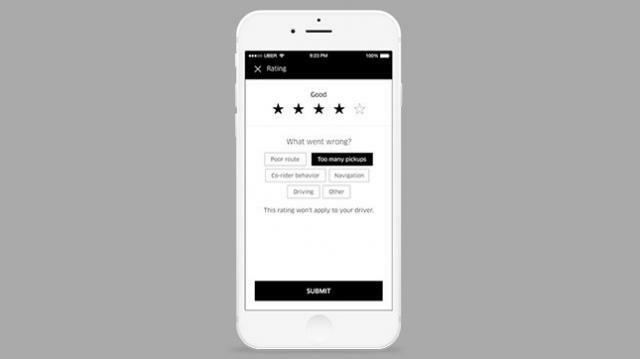 Uber drivers and passengers can rate each other. Uber authorities have taken a new decision on rating in Australia and New Zealand. If the rating of a passenger falls below 4, he will not be able to hire any vehicle in Uber. Uber said in a post on their Newsroom page. The Uber authorities say that the decision to make mutual respect has been made in the community created between the drivers and passengers of their decision. The post of Uber said that the update code will be effective from September 19. It also has special arrangements for the drivers. The driver ratings will go down below the average minimum, they will be given notifications several times. Then they will not be able to enter the Uber app. Uber believes it is important. Because the drivers are not just driving, they are sharing their cars, time and places with the passengers. Uber's decision will create controversy. Already sent users to suggest ratings to increase rating. In this there are issues that do not behave fairly, do not get drunk, and do not behave badly with the drivers. However, earlier this kind of restriction has been issued. At the beginning of this year, Uber introduced such rules in Brazil. Uber did not say anything about whether such policies would be introduced in other countries. Drivers and passengers can give ratings to each other. Go to the profile option and check the rating. At present, Australia and New Zealand are not below the ratings of four ratings, the Uber authorities did not provide information.